I love this look! Reverse Classic... couldn't have labelled it better myself! Oulala! Love this reverse classic look! You rocked it, girl! Hope you are staying warm in all this snow! I love a daring red lip! Love the outfit, and love your blog! Red lips are always perfect. In Australia, white can be worn anytime of year which is great; especially with a denim button up. I'm diggin the scarf too... it reminds me of Scandinavia!! Thanks for the follow! I agree, always great to find fellow Boston bloggers. 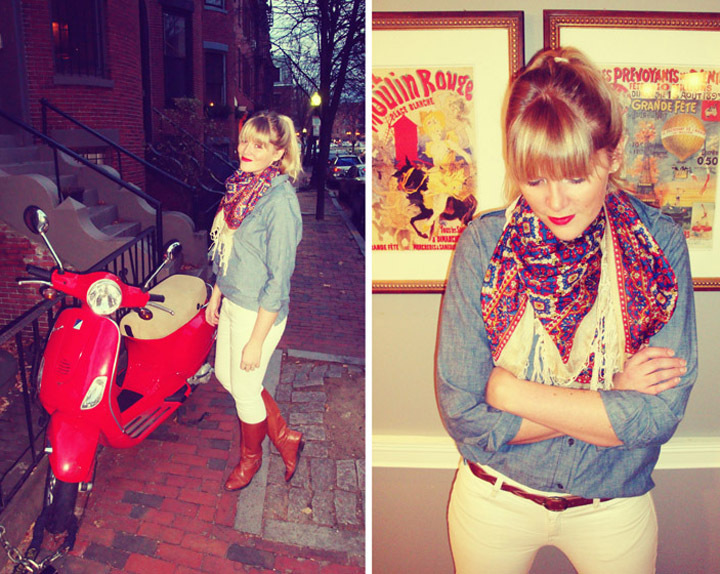 I'd regocnize the streets of the South End anywhere (at least I think that is where you are posing!) cute outfit! KIR!!! HI girl! You look gorgeous! So happy to hear from you! I think about you and wonder how you're doin' in Baaaaahston! I'm a new follower cuz you're fabulous. P.S. you're blog name is perfection. I laugh every time. P.S.S. (or is it P.P.S?) LOVE THE BANGS! HOT. You're so cute! and I love your inverted denim & white look! umm i want the red vespa! Love that outfit! Very vintagy in a way. The color contrast is perf. ummm you are sooo cute!! 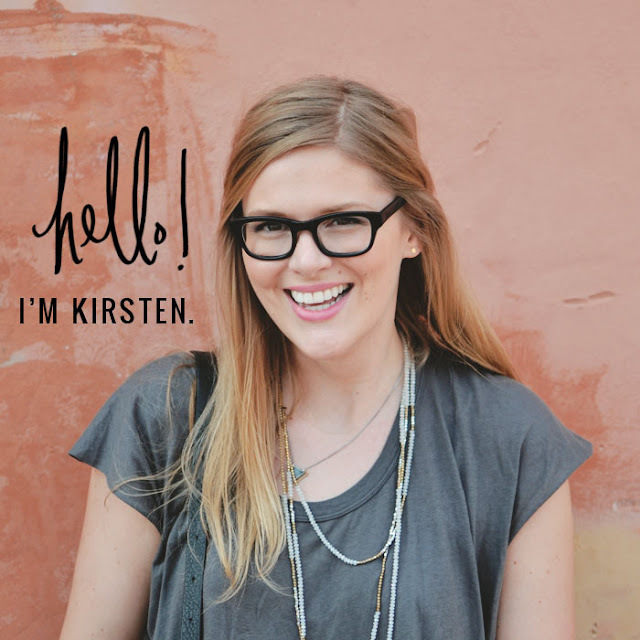 hey kirsten, thanks for the comment on the san francisco blog! love the outfit, lipstick (and bangs by the way)! glad to have another blog to read now!